Resolve to prevent gum disease in 2014 with help from our family dentists. Now that your Christmas lists have been made, checked, and checked twice, it is time to start thinking about making the next list: New Year’s Resolutions. Most lists of resolutions include losing weight, exercising more, and eating better. For Dakota Dental, helping you prevent periodontal disease (AKA gingivitis) is at the top of the list for 2014. Unfortunately, gum infection is more common than most people realize. In fact, Dakota Dental knows that 75 percent of teeth lost after age 35 are due to periodontal disease. The deterioration of gums and bones are symptoms of gum infection – when these structures that hold teeth are unable to perform their duties, teeth are ultimately lost. Avoiding periodontal disease is quite simple. 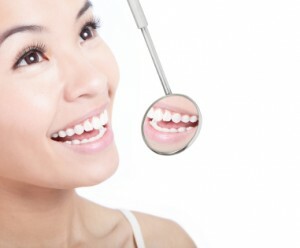 It involves preventive dentistry measures that promote good oral health. Dental preventive care actions involve taking care of your teeth by brushing and flossing every day—including the tongue and the gum line. The other important step is to schedule regular visits at Dakota Dental for cleanings and check ups. Dakota Dental also recommends a few other lifestyle measures for preventive dental care: eating a healthful diet that minimizes starchy and sugary foods, avoiding cigarettes and smokeless tobacco, and using a mouth rinse to reduce plaque. To learn more about the preventive dental care services offered by Dakota Dental or to begin treatment for periodontal disease, contact the Apple Valley family dentists’ office at 952-431-5774.